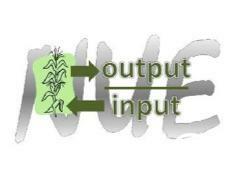 This project aims to develop and test a process to measure and report the nutrient use benchmarks partial nutrient balance (PNB) and partial factor productivity (PFP) for N, P, K and S for grain production systems against which growers can assess their nutrient management practices. These metrics will be derived at national, agroecological zone, regional and farm levels using published and surveyed information. This project aimed to develop nutrient performance indicators for Australian grain farms. Data on nutrient removal, nutrient use, crop management and estimates of nitrogen (N) fixation from 500 paddocks was collected and collated. A series of articles on this work was developed in collaboration with the ExtensioAus network to share these results with growers and advisors across the nation. The survey found that one third of the paddocks had 50% more N removed than supplied. With financial support from the Grains Research and Development Corporation, data were collected from five years of cropping from over 500 cropping fields in south-eastern Australia. Crop yield, residue management and fertilizer use were used to estimate removal and use of nitrogen (N), phosphorus (P), potassium (K), and sulfur (S) in aggregate from the field over the study period. IPNI in collaboration with Southern Farming Systems (SFS) and GRDC, conducted a benchmarking project to identify how efficiently farms in the southern grain growing regions are utilizing N, P, K, and S. This project aims to develop and test a process to identify nutrient use benchmarks using partial nutrient balance (PNB) and partial/total factor productivity (PFP) against which growers can assess their nutrient management practices.